Following the success of last year’s West Yorkshire Weekend, Andrew Jackson takes on the twentieth century buildings of another Pevsner guide – this time Gwynedd from The Buildings of Wales. Join him for an all-inclusive 48 hour exploration of wild Wales and the architecture it inspires. From late Arts and Crafts gems to the inhuman scale of the nuclear age, the itinerary covers almost all movements in twentieth century design. Based at Bangor University, the weekend begins with a late afternoon stroll around campus and tour of the Grimshaw-designed Pontio Arts and Innovation Centre. Saturday takes in the eccentrically whimsical architecture of Clough Williams-Ellis, visiting his fantasy village of Portmeirion, his home and gardens at Plas Brondanw, and stopping for lunch at one of Sir Clough’s more unusual buildings. 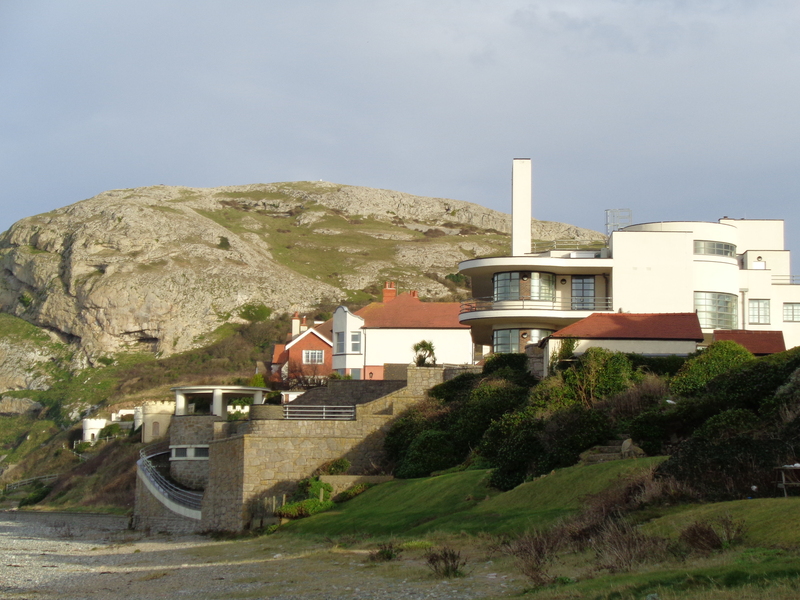 Sunday sees a mixture of Anglesey modernism, houses in the International Style, an Arts and Crafts village and tours of two innovative churches. Places are strictly limited to 24, therefore early booking is advised. Please note that the price includes all meals (breakfasts, lunches and dinners); all admission fees and donations; and two nights’ accommodation at the Management Centre. Please also note that there are no twin rooms available.